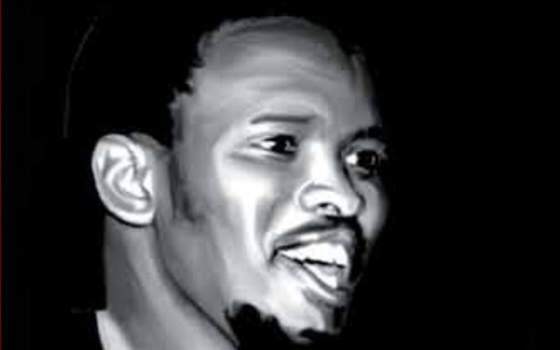 Steve Bantu Biko was only 31 when South African Security policemen killed him on September 12, 1977. He was naked and manacled and it seems his head was smashed against a wall during interrogation. The government's callous response, with a minister saying 'it leaves me cold', caused worldwide shock and condemnation of apartheid rule. Yet Biko's significance stretches far beyond his short life and the brutality of his death. He was, and is, hailed for his role in developing Black Consciousness, in asserting the need for black South Africans to lead in fighting for their freedom. This took the particular form of rejecting white liberals as partners in the struggle. As Biko put it: 'Can our white trustees put themselves in our place? No, they cannot.' Yet Biko was not anti-white, either in his politics or in seeking help for his work or in his friendships. His achievements are all the more remarkable because, during the last four years of his life, government edict confined him to King William's Town and its 1,000-house Ginsberg Location for peoples in the Eastern Cape. He was barred from political activity and could not be with more than one person at a time. Although hobbled, he did not stop. He put his energies into developing Black community programmes, including a clinic and a creche. But his increasing political work led to his death: he was arrested at a police road block while returning from a visit to Cape Town hundreds of miles away. Dr Mangcu's book is billed as the first in-depth look at Biko's life and he came to it well-prepared: he is a well-known commentator who lived in Ginsberg; he was 11 years old when Biko died and reveres him. Biko's mother, Alice, known as MamCethe, was a rock in his life. Strong in her Christian faith, she was widowed when he was four; working as a hospital cook she raised her four children plus sundry grandchildren, nephews and nieces. Biko debated Christianity with the radical Anglican priest, David Russell: Mangcu recalls his bewilderment as a boy in listening to a white man preaching in fluent Xhosa. Another Anglican, Father Aelred Stubbs, was also a friend and spiritual mentor. In Biko's boyhood, the Pan-Africanist Congress was the dominant political body in Ginsberg and his eldest brother, Khaya, was a leader. Khaya was jailed for taking part in the PAC's violent Poqo offshoot and Biko was expelled from school because of it. That, according to Khaya, politicized him. His years as a student provided the incubator for fi rming up his ideas, and especially through confl icts with the white liberals who led the National Union of South African Students. He challenged them to put their words about nonracism into practice by defying apartheid restrictions. It led him to walk out from the 1967 national conference. From that came a black members-only student organization and then the Black Peoples Convention. Mangcu describes these events in detail and discusses Biko in the context of international thinking about Black Consciousness. But he has little to say about the rise of Black Nationalism in South Africa. This was surely the bedrock for Biko's thinking, yet Mangcu does not pursue it. The new nationalism came to life in the African National Congress Youth League founded in 1944; fi ve years later the league took over the mother body and steered it into anti-apartheid militancy. At the end of the 1950s the Africanism which grew out of the Youth League led to the Pan-Africanist Congress. That led to the Black Consciousness Movement. Nor is Mangcu always strong on facts. For example, the Africanists did not break from the ANC in 1959, as he says, but in 1958. They did not object to the influence of white liberals inside the ANC, as he says, but to white and Asian communists; there was no liberal infl uence on the ANC at the time. The government did not ban Robert Sobukwe, a founder of the Pan-Africanist Congress, from praying in public. The description of the artist Paul Stopforth being admitted to the mortuary to prepare his drawings of Biko in death is devoid of truth. He was given access to photographs taken in the mortuary. There is still much to explore in Steve Biko's life and legacy.